Let Me Tell You About,. Living in farm country there is almost always a demand for a good farm dog. Here at 12 Hills Dog Rescue we have a number of nice dogs that would be great farm dogs. There is Shep—He is a very handsome yellow shepherd type dog with white feet. Good to look at, a thick coat and a very good sweet personality. He is around 18 months and is a large dog. He likes people, hasn’t chased our cattle and gets along with other dogs. We have Emerson, who looks to me like a heeler mix. He is very handsome with great markings and begs to get out of his kennel. He has been good around the farm when out. He is just waiting for a opportunity. 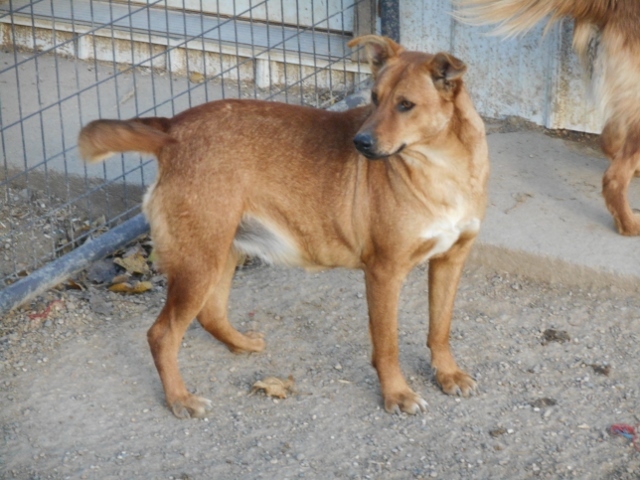 Jerry is another Heeler mix that has great markings and when out and about doesn’t bother anyone. He is 2 years old. Angel and Sam are both Shepherd mixes. Larger dogs than the others. They are good girls with Angel being a little shyer than Sam. They are 2 years old also, and would make great farm dogs. So, that is just some of the dogs here at 12 Hills Dog Rescue that would make good farm dogs. I am sure we have others would fit the bill. They are just waiting for the right families to come along. ← Let Me Tell You About Ajax!